Barnet Council Watch - First With Breaking News! 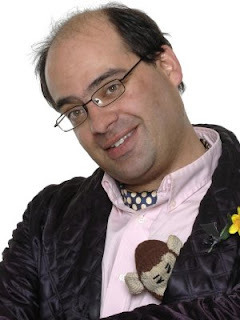 The Liberal Democrats have announced that Big Brother finalist Jonty Stern will be their candidate for the forthcoming by-election in Totteridge on June 4th. Jonty is a keen historian, has a big collection of teddy bears and started the Dr Who Society whilst at University. The Conservative candidate is Alison Cornelius, wife of Cllr Richard Cornelius. Barnet Council Watch is unaware whether Mrs Cornelius likes teddy bears or Dr Who. In Edgware, the LibDems have selected former councillor Jonathan Davies as their candidate in the contest to succeed Richard Weider who recently left England for a new life in Israel. Mr Davies is a Solicitor, an executive member of Liberal Democrat Friends of Israel. He has recently been elected to serve on the Board of Deputies of British Jews. His Conservative opponent is Mr Darrel Yawitch. Cllr Cohen claims that his party provides the only real scrutiny and opposition on the Council. He says: "The election of two more Liberal Democrat Councillors is the sure way of ensuring the Conservatives are properly held to account." Barnet Council Watch wonders whether the Labour Party will even bother to contest these by-elections. The national swing against the government makes the Conservatives overwhelming favourites to retain two of their safest seats. If you were a Labour Party activist, would you want to submit yourself to a humiliation at the polls? The Labour Party candidate is Alon Or-Bach, a well known local campaigner who is on the board of the Jewish Labour Movement. It shows how Tory tinted your spectacles are, that you think an edgware ward by-election is between the conservatives and lib dems! This is the ward containing the Spur Road and Stonegrove estates - a abandoned regeneration estate, which was recently named as one of the most deprived areas in all of Europe. And what local representation have the area's Tory councillors given to residents? Has the state of the estate, and the effect on the surrounding area been fought for in council? of course not, the tory councillors as you regularly document are too busy following their party line in council to bother standing up for the poeople they represent. As fund flow from the tax pool into nice Tory areas in Mike Freer's new parliamentary constituency, ordinary residents in other parts of Barnet are abandoned. Your musings about national issues are really irrelevant when it comes to a council election - you costantly raise the issue of terrible LOCAL government in Barnet. What edgware needs is a strong left-wing voice to make sure the area gets its fair share of Council attention. Not another Freer patsy. I will be doing another blog shortly about the Edgware by-election but the national issue of MPs with their snouts in the trough is too important to ignore. However, I don’t agree that Edgware is a two horse race between the Conservatives and the LibDems. I think it is a one horse race. The whole reason the by-election was called for June 4th was to coincide with the Euro elections. Voters will have their minds concentrated on that, and the swing against Labour will be massive.